Who We Are. - CCBC. Jeremy was born in Valporaiso and raised in a very cultural Christian home where church was often attended but his family was not built on Jesus. As a result, his parents went through a very difficult divorce when he was 17. God used this turmoil and pain in his life to begin doing a work in his heart. After graduating from Goshen High School in 1992, he accepted a scholarship to play soccer at Grace College where God had plans for him. It was in the Grace College Chapel that God called him into ministry and Jeremy began to allow God to make big changes in his life in order to follow Christ more closely. Jeremy met his wife, Rhoda, in a public speaking class where they had to spend time together in order to give a speech on each other. They have been married for 18 years and have two children, Nathan and Cana. 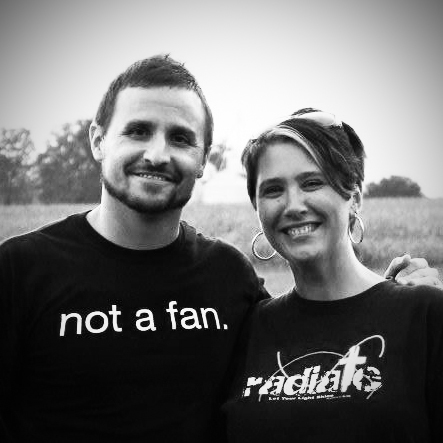 Rhoda is an incredible wife, mom, and ministry partner for Jeremy as she balances him out and makes everything they are involved in together, better. Jeremy graduated from Grace College with a degree in Christian Ministry and has been the lead Pastor at Cornerstone for the past two years. Jeremy loves sports and enjoys his time in the garage working on different projects. One of things he is most thankful for at Cornerstone is the uncommon interaction between the young and old. There is genuine spirit of love, care and concern between the young and old which only God can take the credit for. Rev. Jeremy Jones, Lead Pastor. Greg Carie, Small Group Lead. Richard Tuttle, CCBC Building Manager. Jeff Angus, Radiator Building Manager.